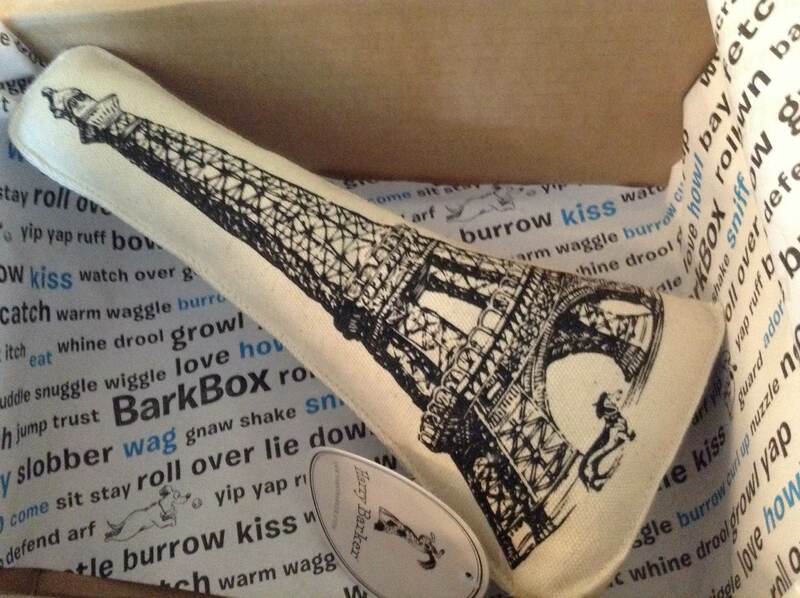 We received our first BarkBox this month and the theme was “Parisian”. Here are the pictures of the items and the description card. 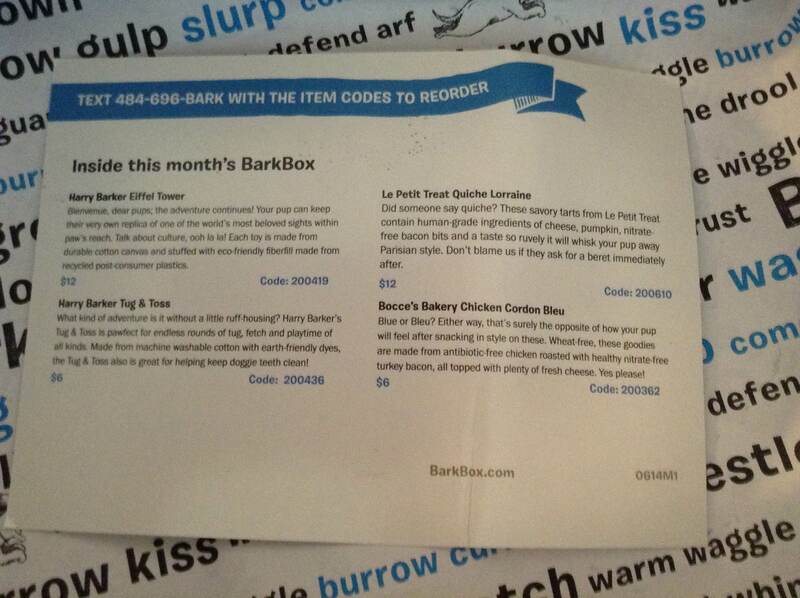 We’ve switched to the Harry Barker Allergy box and am looking forward to receiving it later this month. This is the really winner of this box. Lexi takes this squeaky chew toy everywhere! Lexi doesn’t really like to play tug but we’ve definitely used this toy for fetch and as a chew toy. 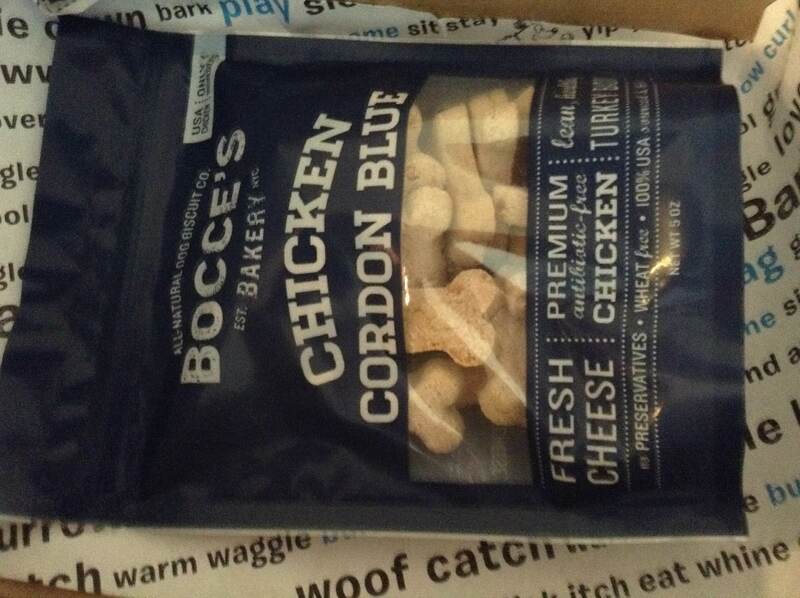 I purchased the Brome LakeDuck dog treat today thinking that this would be perfect for my dog’s sensitive stomach. It contains freeze dried duck liver and boneless duck and should be perfect for a limited ingredient diet. She does really well with duck protein so, I’m religious about sticking to one protein and not introducing her to other ones. I gave her as treats in the afternoon only to find her feeling a bit under the weather later on. She curled up in my lap in a tight ball…something that she only does when she’s not feeling good and needs some comfort. I tried giving her some of her normal dinner but, she would have none of it. Thankfully, no throw up or diarrhea yet and her disposition is back to normal. Safe to say, this treat did not agree with my dog’s sensitive stomach. I’ve only heard glowing reviews about Orijen and their products so, I’ll just refrain from feeding her all food/treats in the future from this company. RAISED CAGE-FREE ON NATURAL GRAINS AND WELL WATER IN ONTARIO, CANADA, OUR FREE RUN DUCK IS DELIVERED TO OUR KITCHEN FRESH AND EACH DAY, SO IT’S LOADED WITH GOODNESS AND NATURAL FLAVOR. ORIJEN’s single-source treats are a simple and pure way to nourish and reward your dog with tastes he will love you for. Bursting with natural flavors, this special treat are features 100% pure and natural Canadian duck — in whole prey ratios to keep your cherished dog happy, healthy and strong. Made without cooking or preservatives, our ORIJEN FREE RUN DUCK treats are gently freeze-dried to lock in ALL of the natural goodness and amazing flavors of our fresh Canadian duck in a reward your dog will love you for — we guarantee it! I purchased the Pistachio/Hazelnut medium sized crate bed for the purpose of using it in the back of my car. I have leather seats and my dog tends to slide around a bit even though she wears a Kurgo Tru-Fit Smart Harness. This crate pad is perfect because the green side has a minky material and is soft for my dog to lay on. The other side isn’t as slick and doesn’t move around on the leather seats. Cleaning is also very easy with this mat. We’ve had some episodes of car sickness on this mat and I just rinsed off the mess and threw it in the washing machine. I laid this mat out to dry and it was ready to use very quickly. I highly recommend this mat for anyone that’s looking for crate mat or a cushion for their dog in the car. The medium size was perfect for my miniature poodle/cocker spaniel mix. 5 Geeky Dog Costumes Ideas! Lexi has proven to be a very finicky eater. We were put on Royal Canin Hypoallergenic PD dog food by the vet but, it turned out to not be a good fit for us. I know that she infinitely prefers canned/wet dog food but, unfortunately I’m a budget and can’t afford food that’s going to cost me $2+ a can. Our current tactic is putting some lukewarm water in the kibble and so far that seems to be key. We’re also switching Lexi over to a high quality and affordable dog food that is gentle on her stomach. One thing that I love about this dog food is that the food itself is small. Lexi has no problem eating the smaller pieces whereas the Royal Canin was a bit more tiring for her. 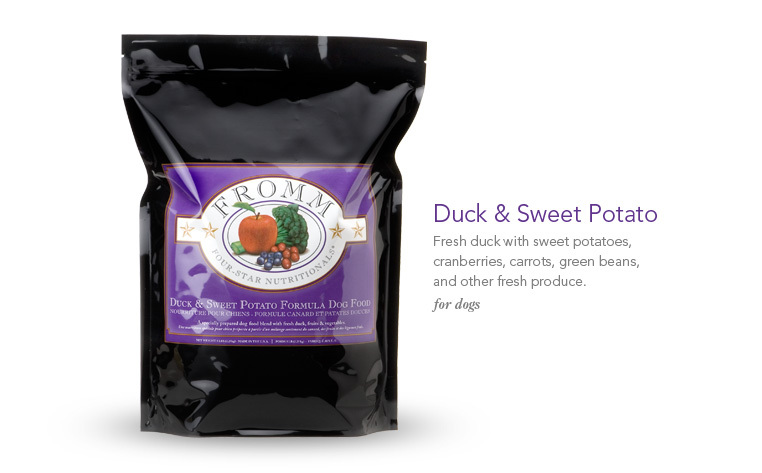 Fromm Duck and Sweet Potato is a winner with us and we’ll continue to feed this dog food to her. On the Dog Food Advisor website, the Fromm Four Star dog food range of food is listed as a 4 out of 5 stars and rated as an above average dog food. If you’re looking to switch your dog to a food that’s high quality and features a wide range of different ingredients and proteins then, Fromm is worth a try. So, what do you do you feed your dog? My dog has a big and fluffy coat that absorbs water like a cotton ball. The Ruffwear Sun Shower Rain Jacket reduces the time I take drying my dog off after a walk in the rain by half the normal time. It covers her back and chest completely leaving her head, neck, legs and feet to get wet. And those aren’t difficult places to dry a dog. The bottom part clips on to the top part using clips and it’s really easy to adjust the size depending on their size. My dog doesn’t mind putting on the rain jacket and completely forgets that it’s on during the walk. I would highly recommend it to anyone that’s looking for a high quality solution to keeping your dog less wet when walking them in the rain. Has someone ever done something unexpectedly nice for you and your dog? I was at the local pet store yesterday with Lexi and something completely unexpected happened. We were walking up and down the aisles looking at different pet products. I like to let Lexi sniff and see different stuff than her normal environment. Teaching her how to deal with other animals and strangers in a store. We wandered over to the aisle with dog toys in it and Lexi got distracted by another person squeaking toys. The other person, a woman, and I chatted for a second and then Lex and I started looking at other toys. A few minutes later the woman comes back with the squeaky toy that got Lexi’s attention. She asked if it was okay for her to give it to Lexi as she had just purchased it. I said “Sure” and Lexi sat down…her way of asking for something. This small purple rhinoceros (Kong Cozie – Rosie) will certainly be destroyed in a few days but, I’m trying to limit her chew sessions with it. But, Lexi happily took the toy from the woman and immediately proceeded to play with it. We chatted for a moment while I thanked her before she left the store. So, maybe she was feeling the joy of the season and wanted to pass some along. Maybe there was something going on in her life and she needed to spend a few moments sharing joy and happiness with other people. For whatever reason, I’m grateful and thankful for kind people. It’s a reminder that kindness and selfless giving should be year round and not only during the winter season. Maybe I’ll bring some dog food and toys over to the humane society as a gift from Lexi. I haven’t decided what I will do yet but, I intend to “pass it on”. 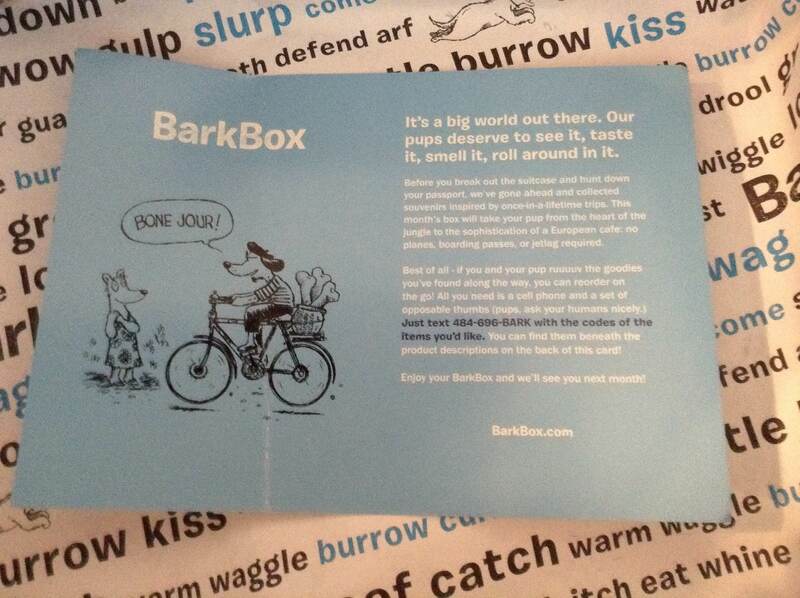 PetHub is a service that helps dog owners have some piece of mind in case their dog runs away. Each tag has a unique QR scannable code on it that links back to your PetHub account. It’s free to create an account and you are given a “Basic Account” level when you purchase a tag from their site. I purchased a tag that I was able to customize with Lexi’s name and my contact number. I know there’s some controversy out there about putting your dog’s name on their tag but, I’d rather someone know my dog’s name if they found her and contacted me. Beyond the Basic (Free Level) of service, you can purchase their Premium Subscription. The Premium Subscription will also give you access to PetHub’s Shelter and Community Alert System. If someone scans your dog’s tag then you’ll get notifications with GPS mapping. Compared to other GPS services out there, I think this one has the best value and piece of mind. PetHub has tons of cute tags! 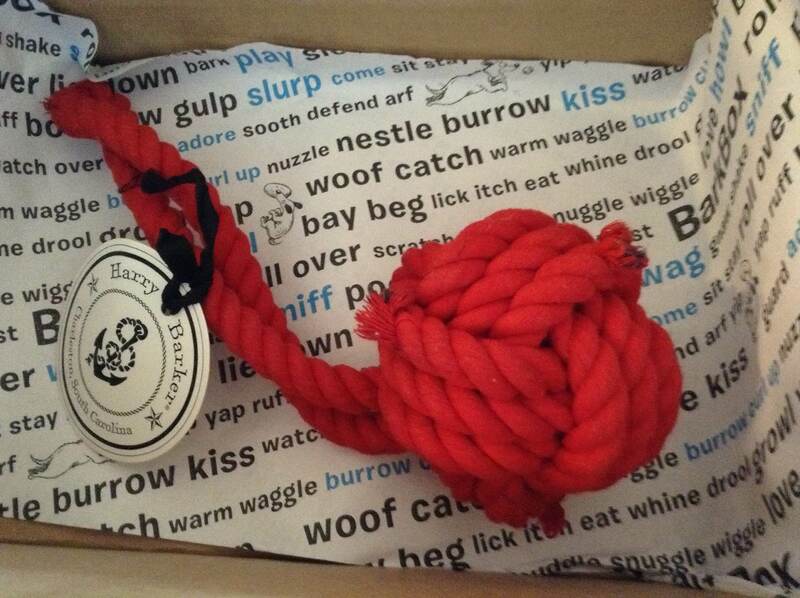 They have paired up with popular brands like Dog Is Good, Red Dingo, NFL, NBA, NHL and College teams to create fun and unique tags. I’m a big fan of their Holiday Dog is Good tag because it’s cute and catches the eye. 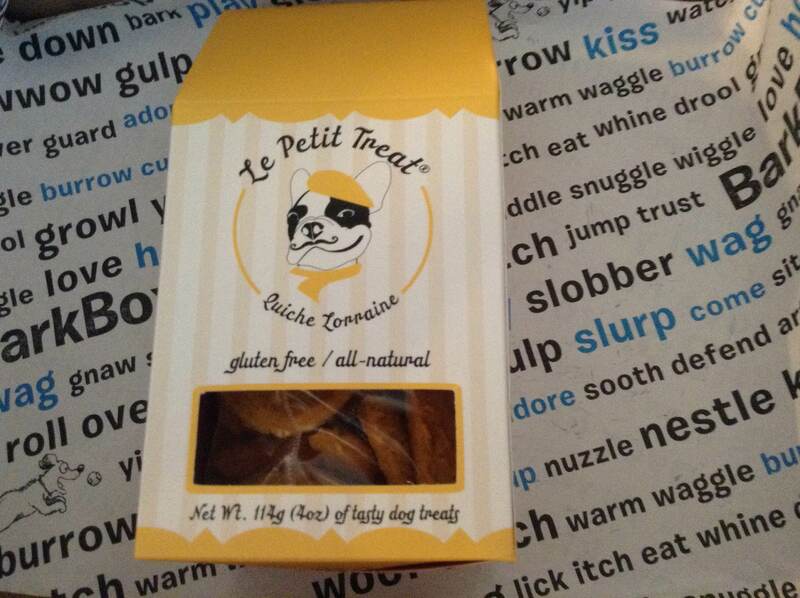 If you’re looking a fun gift to give to friend, PetHub has great Gift Sets available for the holidays. Click here to see their Holiday Bundles! I think their “My Dog is a Genius” Dognition gift set is a great value!! I’m very happy that I’ve chosen to protect my dog with the PetHub tag and service plan. I will continue to do so in the future! At 8 weeks old, Lexi was very ill with a virus and her stomach balance changed. She was on a prescription diet dog food for about a month while we tried to transitioned her back to her previous puppy food. We found out later on that she developed an allergy to chicken. The closest food that I found that best resembled her prescription dog food was this turkey and potato limited ingredient formula for puppies. Transitioning her to this food was a breeze and we didn’t have any bathroom issues. Blue Buffalo basics is a high quality puppy food with just the right amount of protein for my dog. She briefly had a gas issue during the first month of eating it but, I’m not too sure if that was an issue with the food or if it was part of her stomach development. She LOVES the taste of this food and doesn’t mind in the least when we use it for training. We have no issues now with her sensitive stomach and I trust Blue Buffalo Basics to take care of my dog’s dietary needs. I have a Cocker Spaniel / Poodle mix that ended up with thick wavy shedding fur. I brush her fur either every day or every other day and have some sensitivity issues with the fur around her tail and paws. I am also an individual that’s used detangling spray (for humans) in the past. Here’s my best recommendation for using this spray: spray a few squirts into your hand and massage it into the area that needs some TLC. The spray is really direct and will basically give you some really small wet spots that won’t do you any good overall. Of course, keep it away from the dog’s ears, eyes, mouth (mostly the face area). If your dog has a mat…this will NOT work. If your dog is matting, you need to take some initiative and comb them out more often. 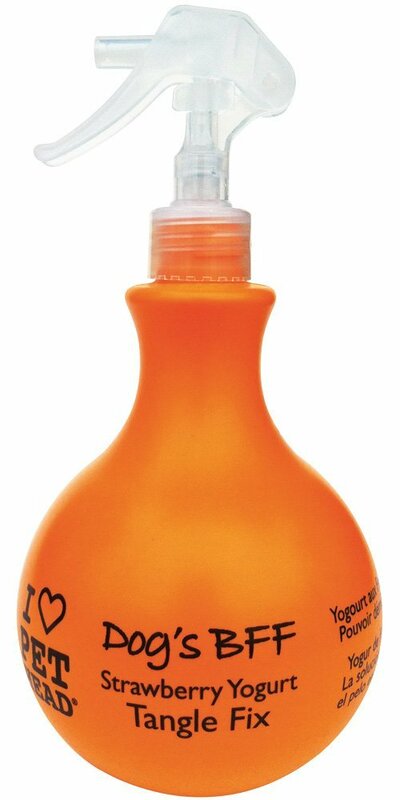 This product is best for making the experience of being combed a bit more enjoyable. When you’re able to work easily through their fur, it can be a very pleasant bonding time for both you and your dog. The perfume is Strawberry Yogurt. Basically smells like something you’ll find at the drug store in the kids section. The perfume scent only lasts an hour or so. So, don’t think it’s a deodorizer. I don’t think it smells bad and my dog doesn’t appear to care. I’ll buy it again when I use this up!